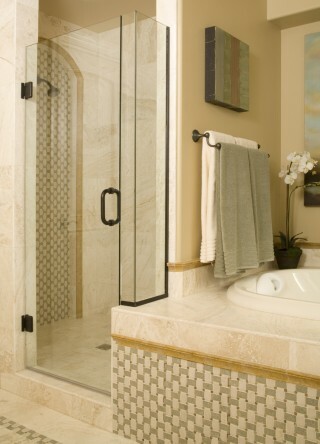 Custom designed frameless enclosures with heavy hinge door. Available with 6mm, 10mm or 12mm tempered safety glass with polished edges throughout. Variety of designer glass, trim colour, and hardware to compliment any décor. Fill out quote request form for pricing. Installation by professional required as no instructions are provided.